“we”, “us”, “our” and “ Hallmark Jewellers” are references Hallmark Jewellers of 15 South Street, Titchfield, Fareham, Hampshire. PO14 4DL and “Website” is a reference to our Website www.hallmark-jewellers.com on which we offer our Goods or Services. Any contract for the supply of Goods or Services from this Website is between you and Hallmark Jewellers. You agree to take particular care when providing us with your details and warrant that these details are accurate and complete at the time of ordering. You also warrant that the credit or debit card details that you provide is your own credit or debit card and that you have sufficient funds to make the payment. Goods and Services purchased from this Website are intended for your use only and you warrant that any Goods purchased by you are not for resale and that you are acting as principal only and not as agent for another party when receiving the Services. Please note that some of our Goods may be suitable for certain age ranges only. You should check that the product you are ordering is suitable for the intended recipient. We will take all reasonable care, in so far as it is in our power to do so, to keep the details of your order and payment secure, but in the absence of negligence on our part we cannot be held liable for any loss you may suffer if a third party procures unauthorised access to any data you provide when accessing or ordering from the Website. Any order that you place with us is subject to product availability and acceptance by us. When you place your order online we will send you an email to confirm that we have received it. This email confirmation will be produced automatically so that you have confirmation of your order details. The fact that you receive an automatic confirmation does not necessarily mean that we will be able to meet your order. Once we have sent the confirmation email we will then check availability and contact you with a further email. If the Goods are available and the details of the order are correct, this email will be deemed an acceptance and will specify delivery details and confirm the price of the Goods purchased. If the Goods are not available we will also let you know by email. All prices listed on the Website are correct at the time of publication however we reserve the right to alter these in the future. We also reserve the right to alter the Goods or Services available for sale on the Website and to discontinue any product line or service. All prices listed on the Website are correct at the time of publication however we reserve the right to alter these in the future. Prices are inclusive of the relevant sales tax but exclusive of delivery charges which will be added to your order. The total price for Goods or Services ordered, including delivery charges, will be displayed on the Website when you place your order. We reserve the right to change or amend prices at any time without notification. Full payment must be made before Goods are dispatched or Services provided. You must pay for your order before it is delivered and you can do so by debit or credit card. Hallmark Jewellers uses the payment services of Paypal. Paypal is a secure, simple and fast online payment processor. It is widely used by both large and small retailers. Paypal does not share any financial details. At no point does Hallmark Jewellers receive or hold debit/credit card details. You have the right to cancel or return your order up to 7 working days following receipt of your goods. This includes your right to cancel your order under the distance selling regulations. You will receive a full refund including the original postage and packaging for the order if the charge was levied with your original order and it is returned in full. If your order has already been dispatched please refer to our returns information. We hope you are happy with any product purchased, but if you wish to return a product to us for any reason you may do so within 14 days of the dispatch date. It must be in a saleable condition and in its original undamaged packaging. We will refund the price or replace the product. Return delivery charges will only be refunded in the event of faulty, damaged or incorrect items being sent to you. This does not affect your statutory rights. Other than for defective products, returns outside the timeframe set out above may be accepted at the sole discretion of Hallmark Jewellers. 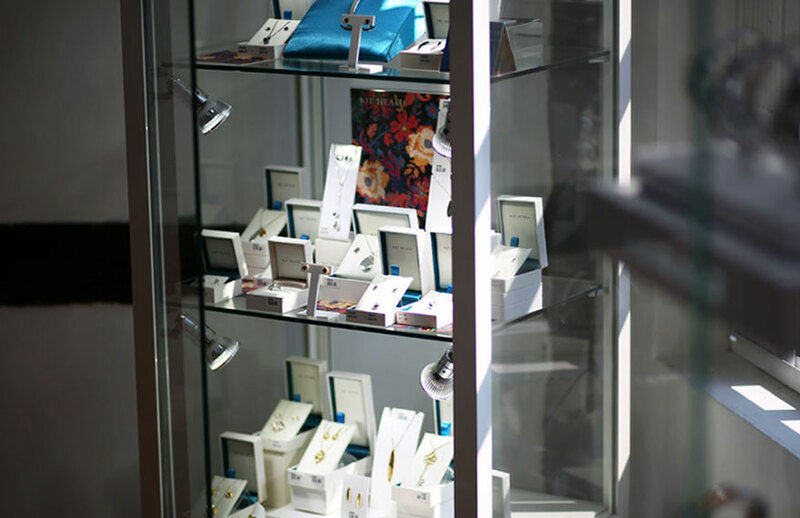 Please contact us by email theshop@hallmark-jewellers.com for information about returning items to us. You may link to website, provided you do so in a way that is fair and legal and does not damage our reputation or take advantage of it, but you must not establish a link in such a way as to suggest any form of association, approval or endorsement on our part where none exists. If Wonky Pot Tea and Herb Company provides links to other websites for your information and if you use these links, you leavewww.hallmark-jewellers.com. We have not reviewed these third party websites and we have no control over such sites or resources. We therefore do not endorse or make any representations about them, or any material found there, or any results that may be obtained from using them. If you decide to access any of the third party websites linked to Wonky Pot Tea and Herb Company, you do so entirely at your own risk. We accept no responsibility for third party websites or for any loss or damage that may arise from your use of them including the group gifting application which is provided by a third party. Viruses, hacking and other offences. We take complaints very seriously and aim to respond to your complaints within 5 business days. All complaints should be addressed totheshop@hallmark-jewellers.com. Great care has been taken to ensure that the information available on this Website is correct and error free. We apologies for any errors or omissions that may have occurred. We cannot warrant that use of the Website will be error free or fit for purpose, timely, that defects will be corrected, or that the site or the server that makes it available are free of viruses or bugs or represents the full functionality, accuracy, reliability of the Website and we do not make any warranty whatsoever, whether express or implied, relating to fitness for purpose, or accuracy. We shall not be held liable for any failure or delay in performing Services or delivering Goods where such failure arises as a result of any act or omission which is outside our reasonable control such as an act of God or those of third parties. The products sold by us are provided for private domestic and consumer use only. Accordingly, we do not accept liability for any indirect loss, consequential loss, loss of data, loss of income or profit, loss of damage to property and/or loss from claims of third parties arising out of the use of the Website or for any products or services purchased from us. You agree to indemnify and hold Hallmark Jewellers harmless from all liabilities, claims and expenses that arise out of the content you submit, post or transmit via the Hallmark Jewellers website, or from your use/misuse of the website, or the use/misuse by any person for whom you are responsible or from your violation of the terms and conditions. 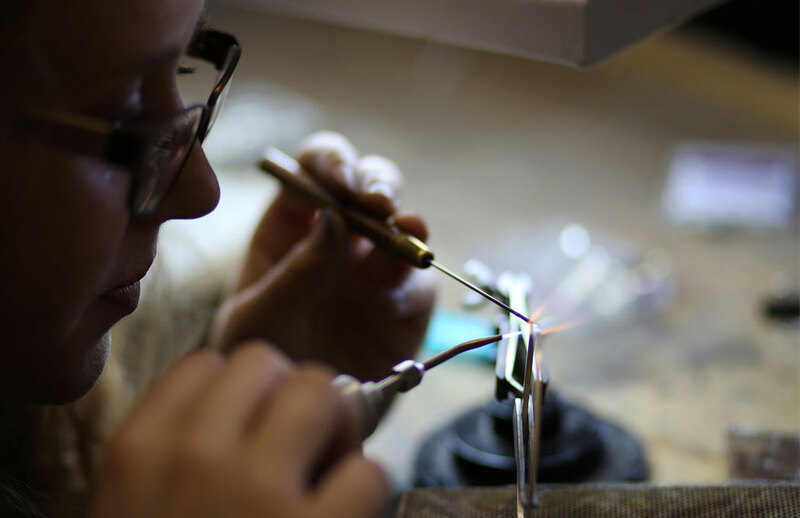 The contract between you and Hallmark Jewellers under which you have made your purchases, it is agreed, shall be governed by, and interpreted in accordance with, English law. The English courts shall have jurisdiction to resolve any disputes between us. This does not affect your statutory rights.